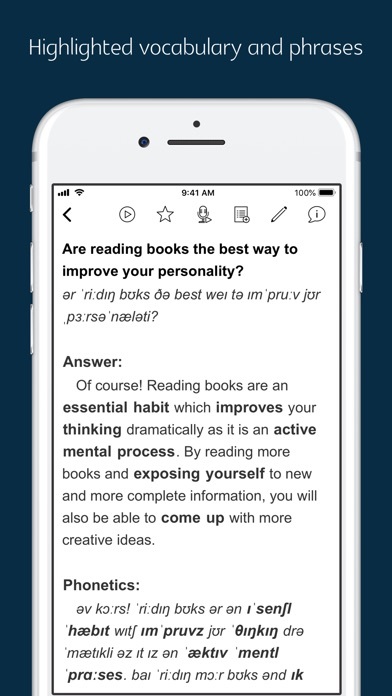 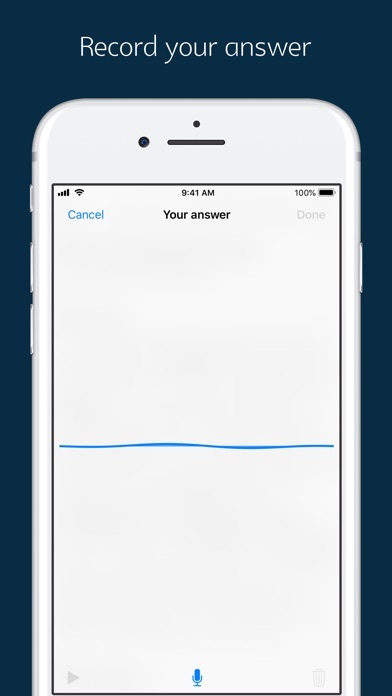 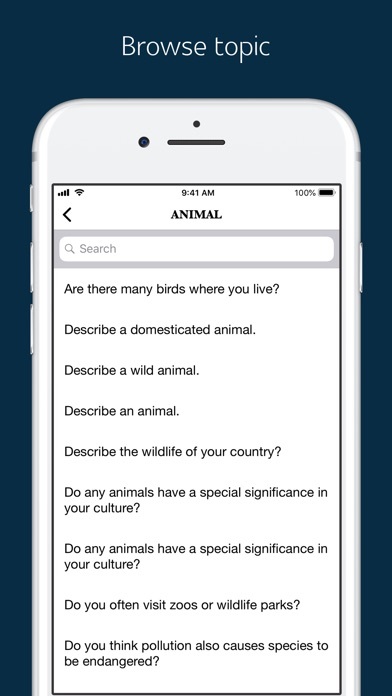 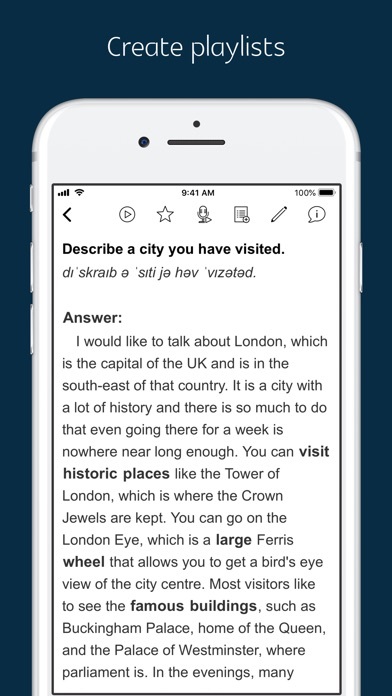 The app offers over 2100 model answers with audio for IELTS speaking test ■ Sample Answer with audio - Over 2100 model answers with audio - Audios narrated by native speakers (male voice questions, female voice answers) - Listen to the audio while reading the sample answers - Important vocabulary, phrases, phrasal verbs, collocations are highlighted - Outline and suggestion for each question - Play audio in background (You can open other app while listening to the audio) - Sample questions and answers for Part 1, 2, 3 of IELTS speaking test. 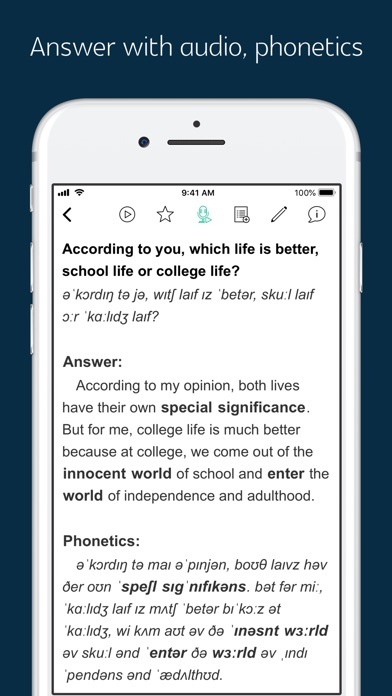 ■ Phonetics - The app provides phonetics transcription for all questions and the answers - Listen to the audio while reading phonetics transcription to correct your pronunciation ■ Topics - Over 56 topics including advertisements, art, animal, building, computer, city, daily routines, family, friends, food, future, generation difference, hobbies, media, study, opinion, technology, travel, preference, photograph, university, yourself, etc. 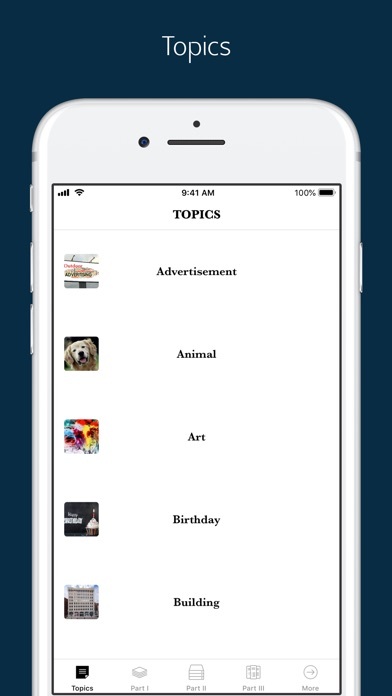 - Over 2100 questions and answers are grouped into topics ■ Record your answer - Record and save your own answer for a question - Play your recorded audios ■ Write your answer - Type and save your own answer for a question ■ Playlist - Create your playlists - Add any answer with audio to a playlist ■ Features - search, bookmark - built-in dictionary ■ If you want to give feedback or need help, please send email to us.